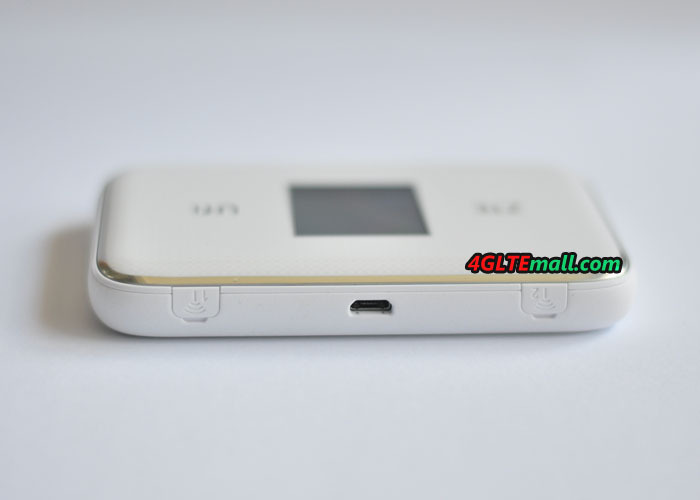 We had known the model ZTE UFi MF970 4G Mobile Hotspot around the beginning of last year. It was first released by Chinese manufacturer ZTE almost at the same time like its competitor Huawei E5786. The Huawei E5786 was sold for one and a half year, but we still can’t get the ZTE UFi MF970 in the past year. 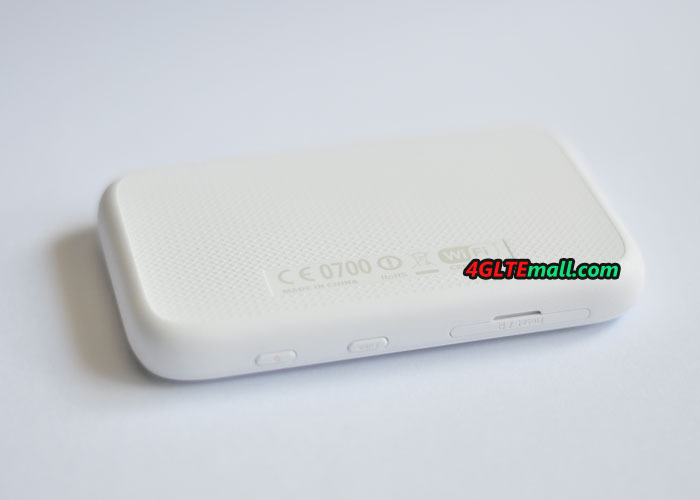 Now we get the ZTE MF970 LTE Moible WiFi hotspot and we have the overview in this article. Actually, when we get the ZTE MF970, we are not quite sure which model it is, because there is no model number indication on the body of the device. 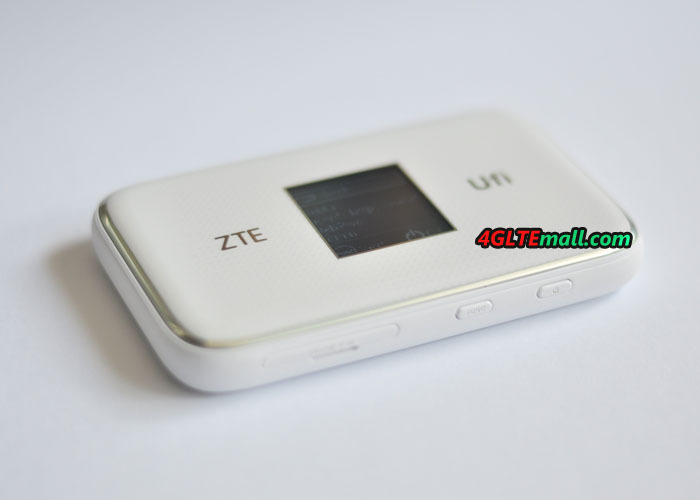 The ZTE UFi MF970 is in white color, and touch feel is good in hand. 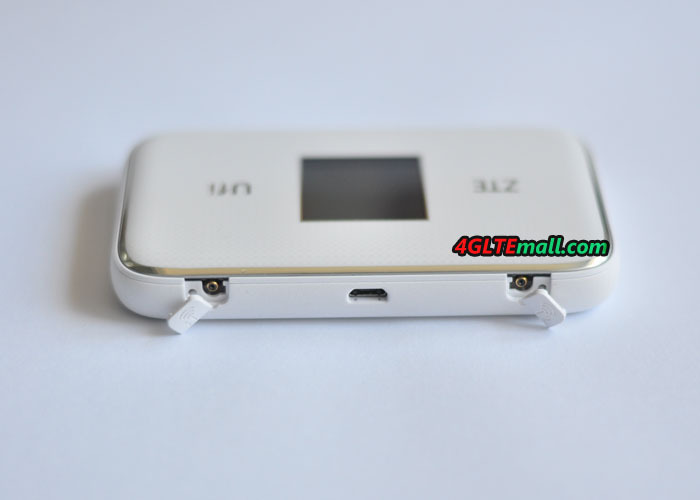 There is “ZTE UFi” on the front of the device and there is a little screen in the middle of the UFi. On the back of the MF970, there are only the logos for CE, ROHS and WiFi. No more information is showed about the model number, WiFi key word, SSID and IMEI number, which should be printed on a label with the device. On the top side of the ZTE MF970, there is a USB 2.0 interface and two connectors for external antenna. The connectors are covered by a small cap, if user want to connect the external antenna, the cap has to be opened. The small caps are still connected with the ZTE UFi body. At the low side of the body, there are power button, function button (“FUNC”) and the slot for SIM card. The back cover can’t be opened because the battery is built-in. And there is no slot for MicroSD card. The battery capacity of the ZTE UFi MF970 is 2300mAh, which can make the device keep working for 8 hours. It’s just like other 4G mobile hotspots, and is enough for normal use, if user want to extend the working time, mobile power bank may be necessary to charge the MF970 when power is low. ZTE UFi MF970 should be the first LTE category 6 mobile pocket router from ZTE to support LTE-advanced network. Its competitor Huawei E5786 is the first LTE Cat 6 pocket WiFi in the world. ZTE always follow the Huawei’s step to present its new products. The chipset of ZTE MF970 is Qualcomm MDM9230. Whether the processor Qualcomm MDM9230 is better or not than Huawei Hisilicon chipset, we haven’t taken such test. The ZTE MF970 could support up to 14 wireless devices to access internet through the WiFi, but Huawei E5786 could support maximum users only up to 10. But the most attractive feature for the two mobile hotspots is that they both support peak download speed to 300Mbps and upload speed to 50mbps. After plugging the SIM card and power on the ZTE UFi, the device quick starts in seconds. There comes Vodafone logo in red and then the screen shows the network provider’s name, network signal, network mode, WiFi signal, battery status. Press the FUNC button and it comes the options, including the “Data Connection”, “Device info”, “WiFi QR code”, and options for “Global Roaming” and “Quick Boot”. The power button is “OK” button and the “FUNC” is for Next. Press power button(Ok) when on the “Device info”, we can see the information about device name(Vodafone R226-Z), SSID, WiFi key, phone number, web URL(http://vodafonemobile.wifi), and password(admin). We can also see other features when choose other options. User can do basic settings through the two buttons “FUNC” and power button. At the beginning, we didn’t know the ZTE MF970 is the original factory model for Vodafone R226-Z, but now everything is clear. The ZTE MF970 was released and then Vodafone introduced the MF970 UFi to its product range. 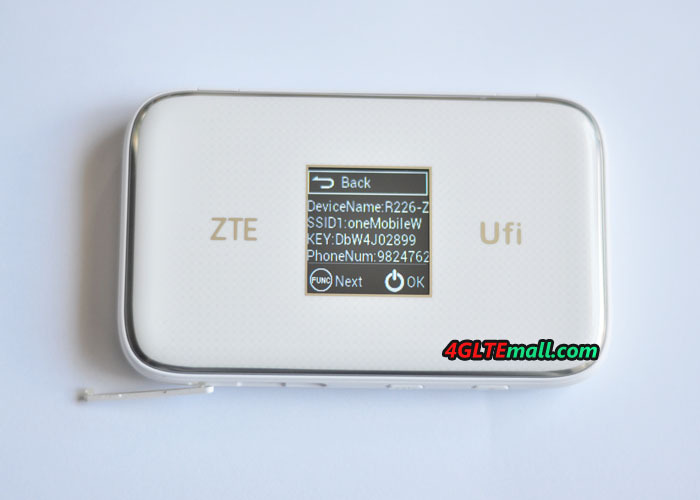 The Vodafone R226-Z is the same model to ZTE UFi MF970. And as we know, Vodafone R226 is the same model to Huawei E5786. Vodafone uses the two models for its own contract plans. 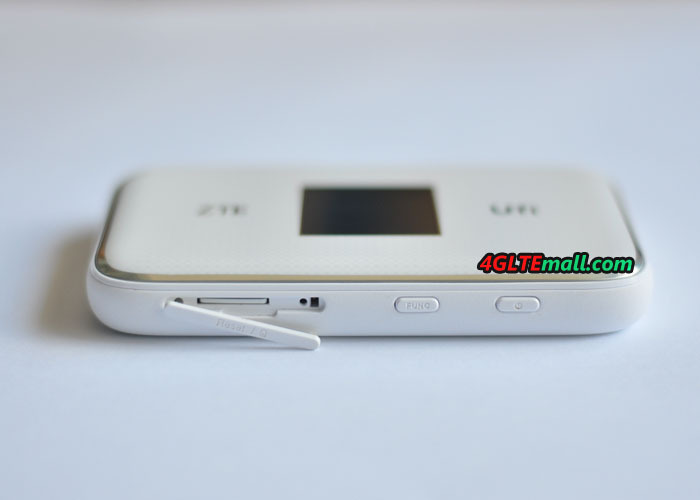 Just like the Huawei E5786, ZTE MF970 UFi also has two connectors for external antenna. 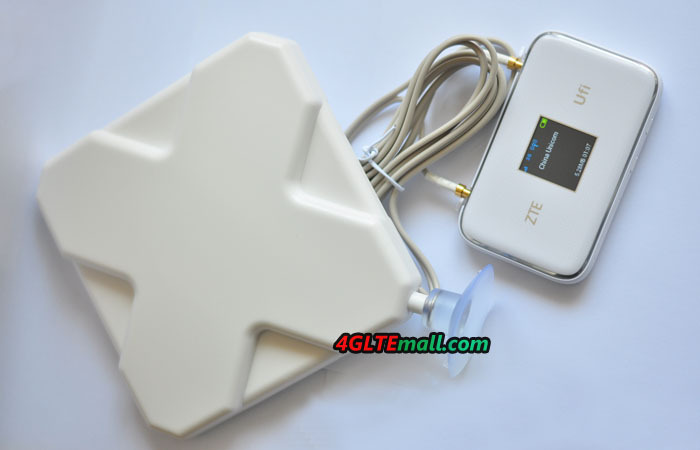 If using the ZTE MF970 at the places with weak signal, it’s necessary to connect the external antenna. We had connected with the ZTE UFi from the smartphone, the surfing speed is good and stable. We will take a full test for the wireless connection next time. In all, the ZTE MF970 UFi is a good pocket WiFi router which supports the latest network technology and could achieve high speed network connection wirelessly. Multiple users could connect with the ZTE MF970 pocket router. The battery is enough for common use. If user want better signal in rural area, there is ports for external antenna. And Vodafone has introduced the ZTE UFi to its product range, it proves the quality of ZT MF970 is trustful. If you don’t like ZTE brand, you can turn to Huawei E5786. And there is better model to recommend, such as Netgear Aircard 790s, Alcatel One Touch Y900. They all could support LTE advanced Cat6 networks. ← What’s the Difference between Huawei E5787 and E5786?